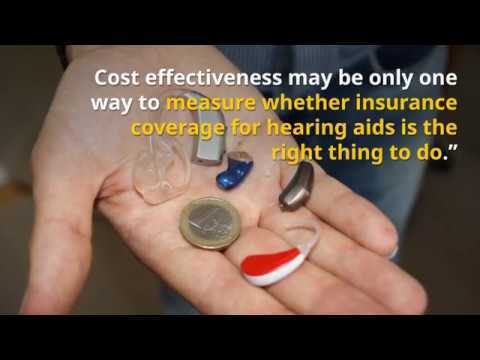 Video abstract of "Association Between Hearing Aid Use and Health Care Use and Cost Among Older Adults With Hearing Loss" in April 2018 JAMA Otolaryngology.  Read the original post from Michigan Medicine's Kara Gavin on the MHealth Lab Blog. Hearing aids cost thousands of dollars, and insurance almost never covers them. But they may hold the potential to cut older adults’ visits to the hospital or emergency room, according to a new study. This could mean lower costs in the long run, but more research is needed to see if this is true. The study arrives in the midst of national discussions about adding Medicare coverage for hearing aids. In the new paper in JAMA Otolaryngology – Head & Neck Surgery, a team led by Elham Mahmoudi, Ph.D., M.B.A., M.S., assistant professor, analyzed data from 1,336 adults ages 65 to 85 who reported severe hearing loss. Strikingly, the researchers found that only 45 percent of those in the study actually use a hearing aid, despite having serious difficulty hearing. The rate is lower still among those with low incomes or less education, those who are African-American or Hispanic and who live in the Southern U.S.
After the researchers factored out these differences, they found that older adults with a hearing aid were less likely to have gone to a hospital or emergency room in the past year. The difference was about 2 percentage points — not a major difference but large enough to be statistically significant. Among those who had been hospitalized, individuals with hearing aids had shorter stays than those who didn’t, averaging a half-day less in the hospital. And those with hearing aids were 4 percentage points more likely to have had an office-based physician visit in the past year and had a higher number of such visits than those without hearing aids. Office-based visits are much less costly than emergency visits and hospital stays. The association of hearing aid use to lower-cost care is especially striking given the lack of insurance coverage for the devices, the authors say. Hearing loss is one of the most common conditions among those over age 65. The findings, based on self-reported accounts of a single year of health care use, don’t show a cost savings overall for those who have invested in a hearing aid. That is unlikely to be visible in a cross-section of data such as this, Mahmoudi says. In fact, those with hearing aids reported spending about $325 more out-of-pocket than those without, and $1,125 higher spending overall, compared with those who had hearing loss but no hearing aids. The total Medicare spending reported by both groups was about the same. “Hearing aids cost an average of $2,000 to $7,000, so the fact that overall annual health care costs for those with hearing aids were not that much higher is an important point on its own,” says Mahmoudi. The new study is based on self-reported health care use and costs, gathered through the Medical Expenditure Panel Survey conducted by the federal Agency for Healthcare Research and Quality. The data also included self-reported health conditions. That people who have hearing aids were also less likely to have chronic illnesses such as diabetes and high blood pressure may have had something to do with these chances of using costlier services, according to an editorial commenting on the new paper. This difference could also indicate that hearing aids allow individuals to lead more active and healthy lives, researchers hypothesize. To take a long-term look at the same issue, Mahmoudi and her colleagues are studying five years’ worth of private insurance data from the University of Michigan Institute for Health Policy and Innovation, and anonymous data from patients treated at Michigan Medicine. By studying documented costs and health care use over multiple years, they hope to determine whether hearing aids are cost-effective — if the initial spending on a device actually pays off in lower costs from other forms of health care for the same patient. A 2016 National Academies of Sciences, Engineering, and Medicine report examined hearing-related technologies for adults of all ages, and concluded that changes to the coverage and regulation of hearing aids should be made. The panel’s recommendations helped lead to a 2017 law instructing the U.S. Food and Drug Administration to develop guidelines that will allow hearing aids to be sold over the counter. The FDA provides current information on hearing aids, but the agency now has less than three years to develop and launch guidelines. Regardless, over-the-counter hearing aids are likely to be best for those with mild to moderate hearing loss. In the meantime, the U-M team will continue to study the effect of hearing aids on patients’ lives and health. Browse the latest preventive medicine and disability health from the Department of Family Medicine.